At the main Huggo’s dining room, fresh seafood remains the signature, as does the coral-strewn beach with tide pools just beyond the wooden deck. The tables are so close to the water, you can see the entire curve of Kailua Bay. Feast on sautéed mahimahi, steamed clams, seared ahi, or imu-style chicken cooked in ti leaves. 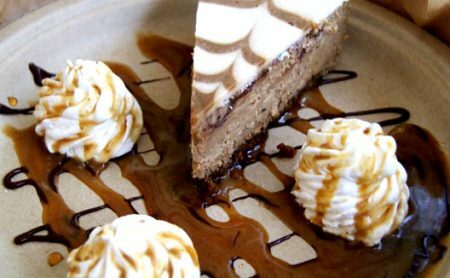 At lunch, specialties include kalua-chicken quesadillas, brick-oven pizzas, and sandwiches ranging from hot turkey to prime rib and fresh fish. 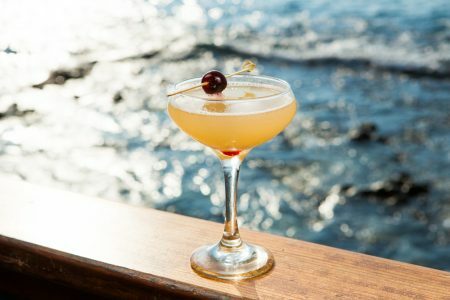 Toes-in-the-sand bar: Huggo’s on the Rocks, Kona. Strike up a conversation here and you’ll find yourself swapping stories with locals. This is the place to grab a brew and watch the dolphins jump offshore. 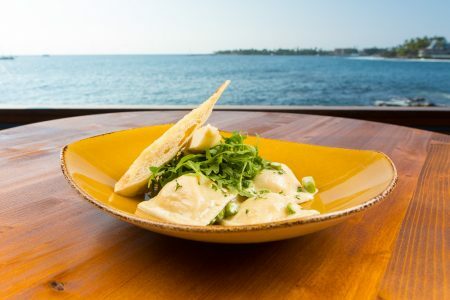 Rachael Ray visits Huggo’s on the Rocks, for oceanfront views in Kailua-Kona, HI, on Food Network’s $40 a Day. 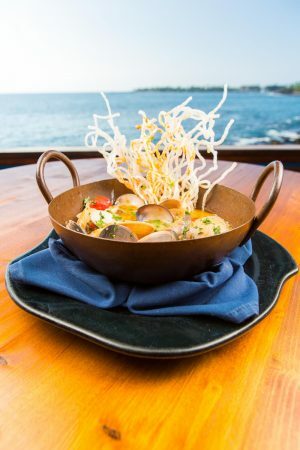 Kailua-Kona’s Huggo’s Restaurant and neighboring Huggo’s on the Rocks showcase Hawaiian artists with a scenic ocean backdrop…..
At the main Huggo’s dining room, fresh seafood remains the signature, as does the coral-strewn beach with tide pools just beyond the wooden deck. The tables are so close to the water, you can see the entire curve of Kailua Bay. Best meal I ate was fresh catch of the day. Bonus: the view is exceptional. Must order item: furikake fries. 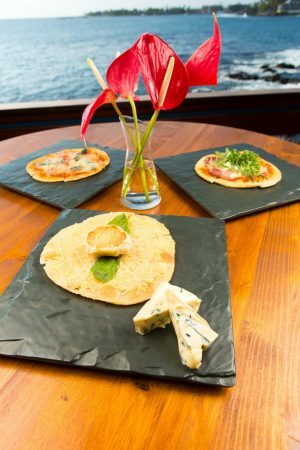 This is the only restaurant in town with prices and atmosphere comparable to the splurge restaurants at the Kohala-coast resorts. Open windows extend out over the rocks at the ocean’s edge, and at night you can almost touch the manta rays drawn to the spotlights. 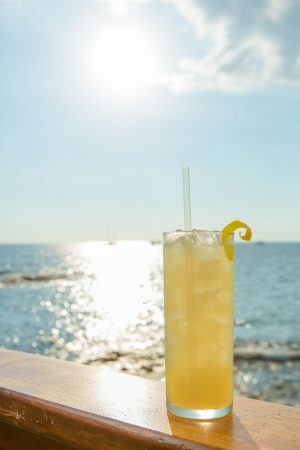 Relax with a cocktail for two and feast on fresh local seafood; the catch changes daily, and the nightly chef’s special is always a good bet. 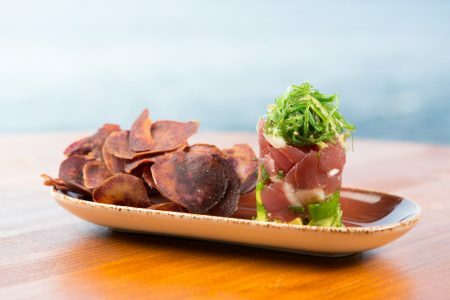 “Adding to the allure of the restaurant is its ocean-front setting on ‘Onea Bay in historic Kailua Village where boutiques, galleries, and specialty shops await you for an after dinner stroll. Well, as much as we hated to see the beautiful ocean sunset turn to darkness, it was now time for our wonderful journey to end as well. Huggo’s prides itself on its enthusiastic participation in the local food movement. 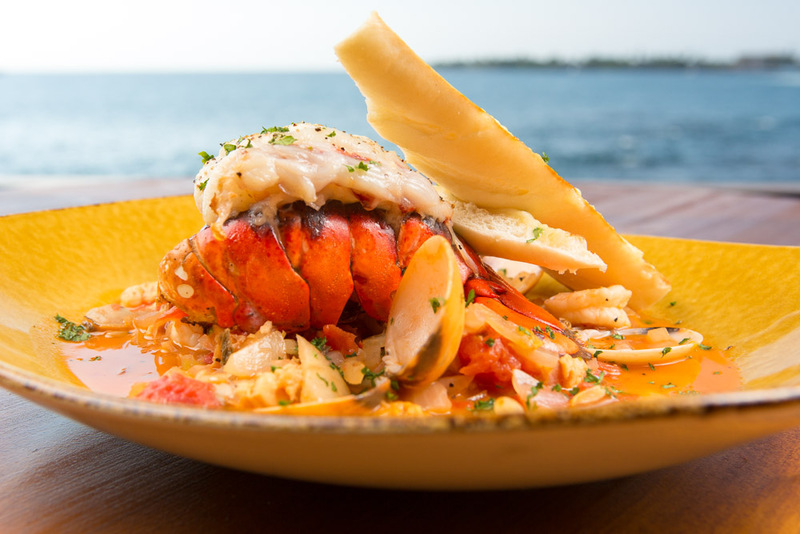 Huggo’s Chef is strongly dedicated to serving only the best locally caught fish and seafood items with fresh produce that highlights many of his nightly dinner specials. 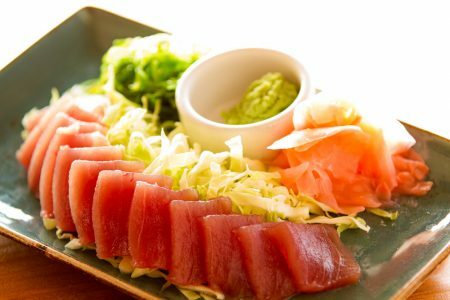 From Big Island raised Kumamoto oysters, ahi poke, locally grown clams, to the fresh catch-of-the-day, there’s a copious list of daily seafood options. Back on the Big Island for a few weeks. Tried a few new places for dinner and ultimately came back to Huggo’s for dinner again. You just can’t go wrong. Dinner, service, atmosphere, everything was perfect. This night, the Chef and Manager came out and visited with the customers and were genuinely interested in our satisfaction. Try it! 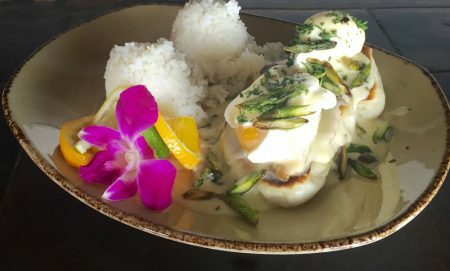 Combine spectacular Kona sunsets with the fabulous food fashioned by Chef Ken Schloss nightly, all served up oceanside and you have the finest seafood restaurant on Hawaii Island. Entertainment nightly, professional wait staff with services provided with genuine aloha, gracious ambiance and you have an evening you won’t forget. We loved every minute! “Try their happy hour. Sit at the bar for excellent service from Bill the bartender. Huggo’s captured the Bronze award as Best Big Island Restaurant in 2011 by Honolulu Magazine, celebrating its fourth year as a Hale Aina award winner. 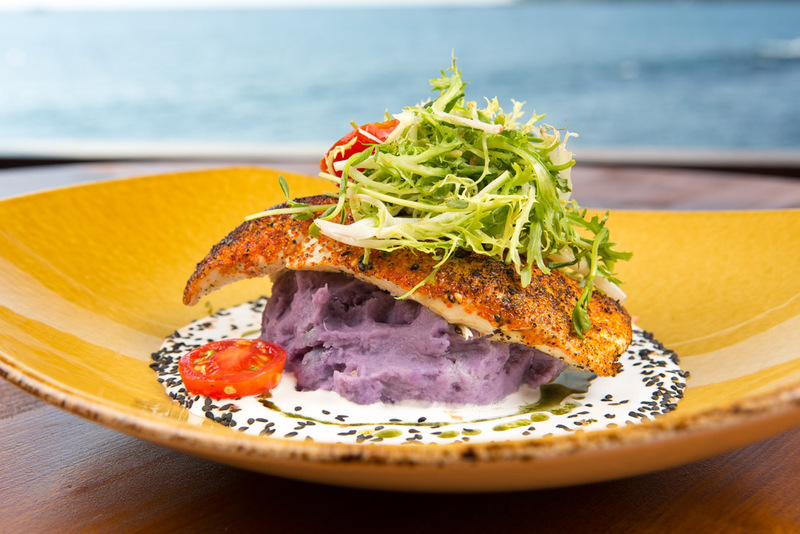 Each year, Honolulu Magazine readers vote for their favorite restaurants in the Islands. This year, Huggo’s was the only restaurant in Kona to win a Hale Aina Award. Huggo’s has also received this prestigious accolade in 2004, 2005 and 2006.